MDCommerce is a comprehensive provider of competent revenue cycle management and medical billing services in Washington DC. We offer our services to a wide range of healthcare providers of USA. With a team of highly motivated and certified team of electronic coders and biller professionals, we are committed to increase your revenue and decrease overheads. Looking for the best medical billing company for your practice? Contact us now. MDCommerce is a comprehensive provider of competent revenue cycle management and medical billing services in Washington DC. We offer our services to a wide range of healthcare providers of USA. With a team of highly motivated and certified team of electronic coders and biller professionals, we are committed to increase your revenue and decrease overheads. Looking for the best medical billing company for your practice? Contact us now. Cerillion is a leading provider of billing, charging and customer management systems with more than 20 years' experience delivering its solutions across a broad range of industries including the telecommunications, finance, utilities and transportation sectors. These are used to price and bill subscriptions and variable usage for wholesale, retail and white label services; B2B and B2C offerings and multi-country service provider portfolios. Cerillion is a leading provider of billing, charging and customer management systems with more than 20 years' experience delivering its solutions across a broad range of industries including the telecommunications, finance, utilities and transportation sectors. These are used to price and bill subscriptions and variable usage for wholesale, retail and white label services; B2B and B2C offerings and multi-country service provider portfolios. BillingTree is a leading provider of payment solutions including a fully integrated, multi-channel electronic payment suite that helps a variety of industries process payments. Visit us today to learn more about our industry leading merchant services and credit card processing solutions. BillingTree is a leading provider of payment solutions including a fully integrated, multi-channel electronic payment suite that helps a variety of industries process payments. Visit us today to learn more about our industry leading merchant services and credit card processing solutions. PracticeBridge is a healthcare revenue management company based in New Jersey. We offer cutting-edge medical billing and EHR support.Increase bottomline benefits and stay in compliance. PracticeBridge is a healthcare revenue management company based in New Jersey. We offer cutting-edge medical billing and EHR support.Increase bottomline benefits and stay in compliance. 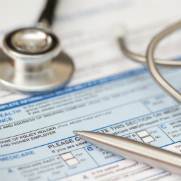 We are a provider of Medical Billing Services and claim lifecycle management. We navigate the intricacies of insurance industry practices - start to finish - and remove obstacles to the success of your business. Our dedicated account managers and medical claim processing experts take ownership of your needs and deliver! We are a provider of Medical Billing Services and claim lifecycle management. We navigate the intricacies of insurance industry practices - start to finish - and remove obstacles to the success of your business. Our dedicated account managers and medical claim processing experts take ownership of your needs and deliver! International Processing Solution, our entire focus is on delivering reliable and secure payment solutions to help businesses succeed in an increasingly complex global marketplace. By serving as a single source for payment processing worldwide, IPS sets new standards in convenience, reliability and innovation. International Processing Solution, our entire focus is on delivering reliable and secure payment solutions to help businesses succeed in an increasingly complex global marketplace. By serving as a single source for payment processing worldwide, IPS sets new standards in convenience, reliability and innovation. Professional Credentialing Services offers quality credentialing services to private practices, physicians, medical groups, management services organizations and radiological facilities. Professional Credentialing Services offers quality credentialing services to private practices, physicians, medical groups, management services organizations and radiological facilities. Emerald Health improves small and medium sized medical practices with revenue cycle management and electronic medical records software. We offer customized solutions to solo or larger group practice based on their specific needs. Emerald Health improves small and medium sized medical practices with revenue cycle management and electronic medical records software. We offer customized solutions to solo or larger group practice based on their specific needs. Omega Medical Billing is a quality medical billing, collections, credentialing, coding and accounts receivable management to physicians and laboratories. Omega Medical Billing is a quality medical billing, collections, credentialing, coding and accounts receivable management to physicians and laboratories. Complete business resources. Large selection of office equipment and supplies. Ebooks, tutorials, videos, great links and downloads to help build and promote your business. Complete business resources. Large selection of office equipment and supplies. Ebooks, tutorials, videos, great links and downloads to help build and promote your business. Billing software company MetraTech offers a completely new approach to enterprise billing, telecom billing and cloud billing software. Find out more here. Billing software company MetraTech offers a completely new approach to enterprise billing, telecom billing and cloud billing software. Find out more here.